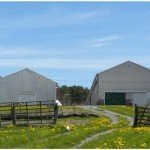 Maine Farms Realty aims to provide professional Real Estate services to Maine Farmland Trust and Maine’s Farm Community. Through traditional and a la carte Real Estate services, we believe that Maine Farms Realty can aid in the continuation of farming as a Maine way of life. Maine Farms Realty is also working to create new opportunities to educate Real Estate Agencies about farmland protection and to engage those Agencies in partnership with Maine Farmland Trust. It is our aim to assist a wide range of customers, including: beginning farmers, farmers expanding their operation, farmers retiring from their operation, farmland/conservation buyers, sellers and investors, and real estate professionals who are working with farmland buyers or sellers.